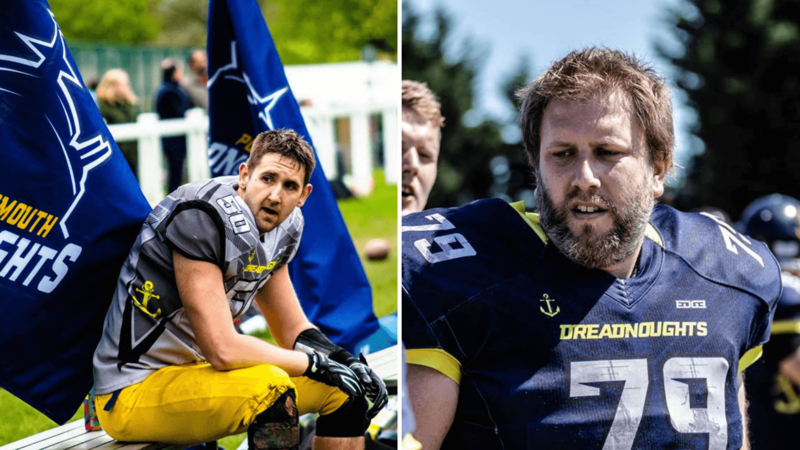 At the Annual Portsmouth Dreadnoughts Awards Night, Head Coach Luke Head-Rapson announced the first two inductees to the newly created ‘Ring of Honour’, recognising individuals who have made an outstanding contribution to the team be that on or off the field. Offensive Lineman Paul Hook and Linebacker Tom Bonser were inducted into the Ring of Honour, with both players having retired at the conclusion of the 2018 season. We spoke with both players about how they felt being part of the inaugural class of Honourees. The Club would like to thank both inductees for their years of service and look forward to seeing them on the sidelines supporting the team in 2019.